ESSEN FILMS is an independent film Production Company, specializing in producing, well-researched, professionally executed, hard-hitting, and controversial films. Their take no hostages, aim-for-the-jugular, against-the-grain approach, has made them unpopular with many organizations. 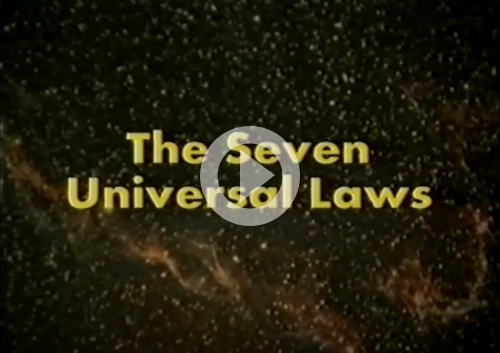 THE FILM, "The Seven Universal Laws," purports that the Seven Universal Laws were given to Adam and Eve in the Garden of Eden, and attempts to show how they can be used to obtain happiness, health, wealth, and success. The widely acclaimed ground-breaking documentary reveals the God-given ways to revolutionalize your relationships, achieve wealth and to fulfill your purpose in life. The documentary film has a guest appearance by Vendl Jones - biblical archaeologist and real-life model for the Steven Spielberg character, "Indiana Jones."